Joint Intensive Courese "Frontier of Sustainability Science" was held as follows. 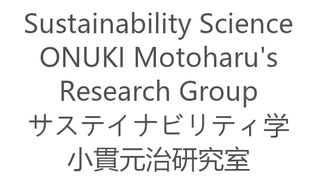 This is a compulsory course of Joint Educational Program of Sustainability Science Consortium (SSC: Former IR3S) and a distance learning course though TV conference system. The last day of the "Frontier of Sustainability Science" was held. The 2nd day of the "Frontier of Sustainability Science" was held. The first day of the "Frontier of Sustainability Science" was held. We are sorry that the first day was overlapped with the open campus event of Kashiwa Campus. Thank for students' active participation inspite of (in between) the open campus.